Looking for help to start your business? Then the NBV Grant for New Business could be for you! 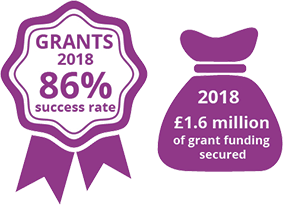 The NBV Grant for New Business supports start-up businesses based in Nottinghamshire, Derbyshire, Leicestershire and Greater Lincolnshire. Once approved, grant funding can be used to purchase services or equipment to help you launch your new business.